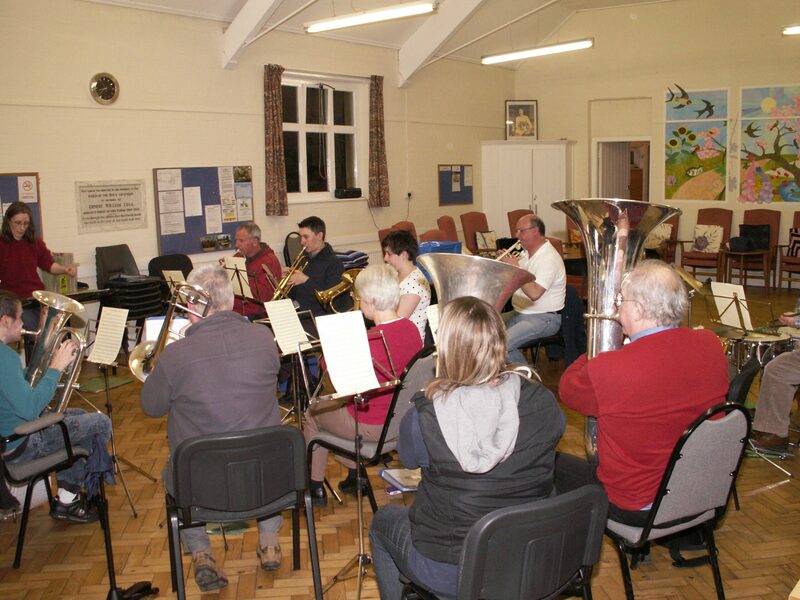 Warminster Brass Band is a community band based in Warminster, Wiltshire, with players from a number of nearby towns, including Westbury, Trowbridge and Amesbury, as well as Warminster itself. The band does not take part in competitions, but performs regularly at fetes, bandstands and shows in the local area in the summer months. At Christmas, the band plays carols and other festive tunes for Christmas Eve shoppers in Warminster and at various community events, in addition to their own annual Christmas Concert. A number of the band’s players also perform the Last Post for local Remembrance services. The band practices weekly on Mondays from 7:45pm to 9:15pm at St John’s Parish Hall, Boreham Road, Warminster, Wiltshire, except during August. Players of all ages and abilities are welcome to join Warminster Brass Band. The band has some instruments available for use if you wish to play but do not have your own. If you are interested in joining, please come and see us on one of our Monday night practices, send us an email at [email protected], or contact us through our Facebook page. Warminster Brass Band are available to be booked for events in the local area, however our calendar is often booked up several months in advance, especially around Christmas. If you would like to book the band for your event, please call band secretary Pat Cutler on 01985 215 200.